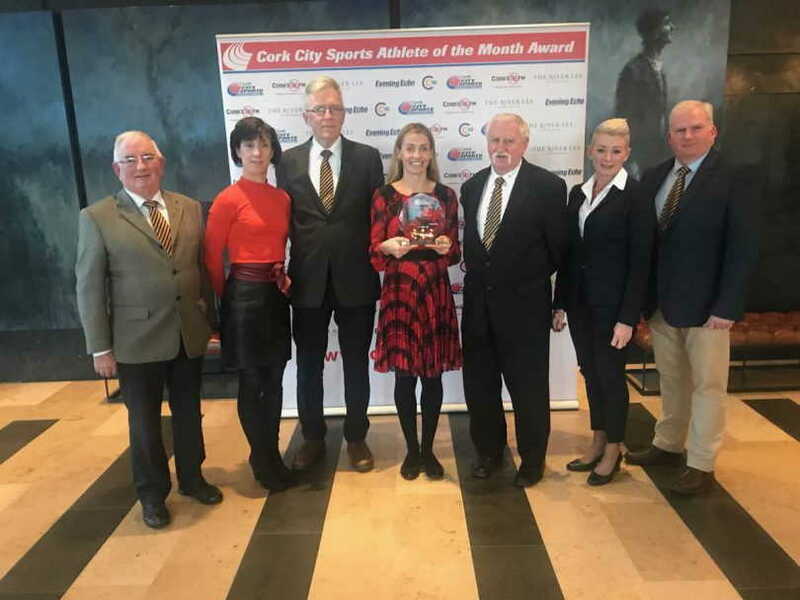 Lizzie Lee is the Cork City Sports Athlete Of The Month for October. Lizzie was presented the award at the ceremony at a hosted lunch today in The River Lee hotel. The citation read; ‘At the SSE Airtricity Dublin marathon Lizzie Lee mixed it with the elite internationals, finishing an outright third, her time of 2:35:03 was one of the fastest times by an Irish woman on Irish soil, this also won her first Irish national title.